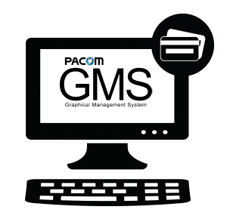 March Networks has announced the integration of its Command Video Management System (VMS) software and 8000 Series Hybrid Network Video Recorders (NVRs) with the Graphical Management System (GMS) and Unison offerings from Pacom Systems. The certifications reportedly provide organisations with unified IP video surveillance and access control solutions that support better risk mitigation, rapid incident response times and more efficient system management. Certified integrations also provide security professionals with one-click access to live or recorded March Networks video directly in the GMS and Unison software interfaces. They allow staff to visually verify potential threats quickly and proceed with the appropriate alarm handling procedure to ensure effective management. Operators can add surveillance camera icons to GMS and Unison interactive site maps, and then select an icon to live stream video from the March Networks system to any workstation. Other features include point-and-click PTZ camera controls and the ability to retrieve recorded video via GMS and Unison transaction logs. “The ability to seamlessly integrate access control, intruder alarm and video verification in a single security management solution is a must-have for many multi-site organisations today,” said Steve Barton, Chief Technology Officer, Pacom Systems. Imperial Fire & Security gets the Gold!